Team member's link to the past? 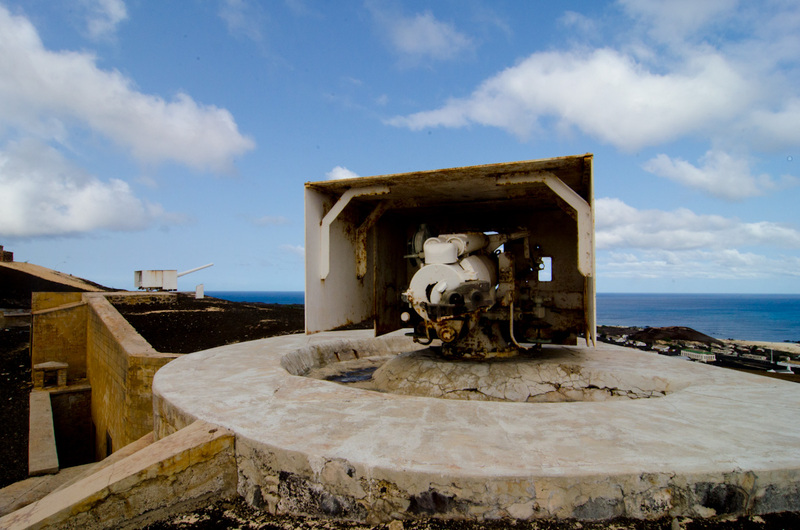 Visitors to Ascension can't fail to notice two large white naval guns mounted at Fort Bedford, overlooking Georgetown and Clarence Bay. The guns are 5.5-inch guns removed from HMS Hood in 1934 and are the only remaining parts of this ship which was (in)famously destroyed by the German ship Bismarck with the loss of all but 3 lives. [caption id="attachment_651" align="aligncenter" width="584"] The pair of 5.5 inch guns removed from HMS Hood stand guard over Georgetown. The only action these historic weapons saw during World War II occurred on 9 December 1941. 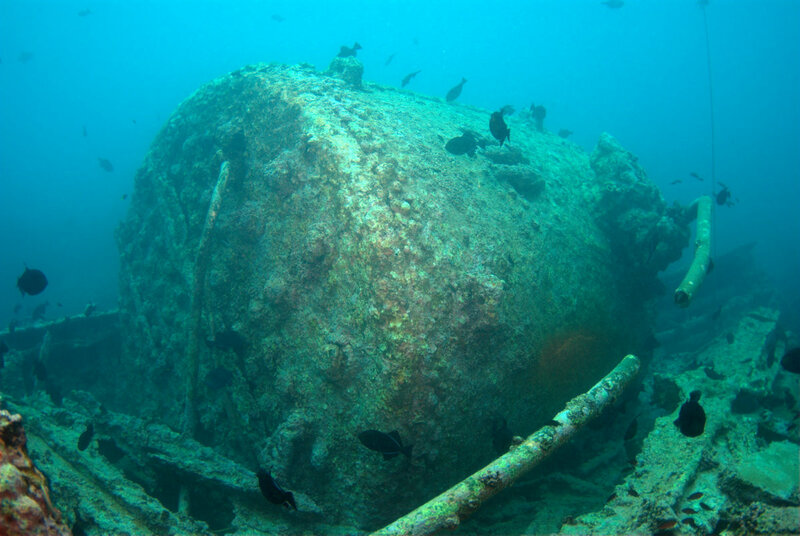 At around mid-day, the U-boat U-124, commanded by Johann Mohr, approached Georgetown on the surface with the intention of sinking any ships at anchor or shelling the cable station. The submarine was fired on by the two-gun shore battery but no hits were scored. 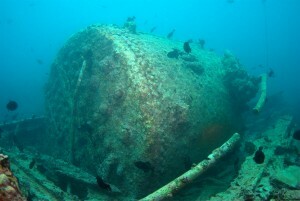 However the shelling was accurate enough to force the U-boat to submerge and retreated. Details of the action can be found here. 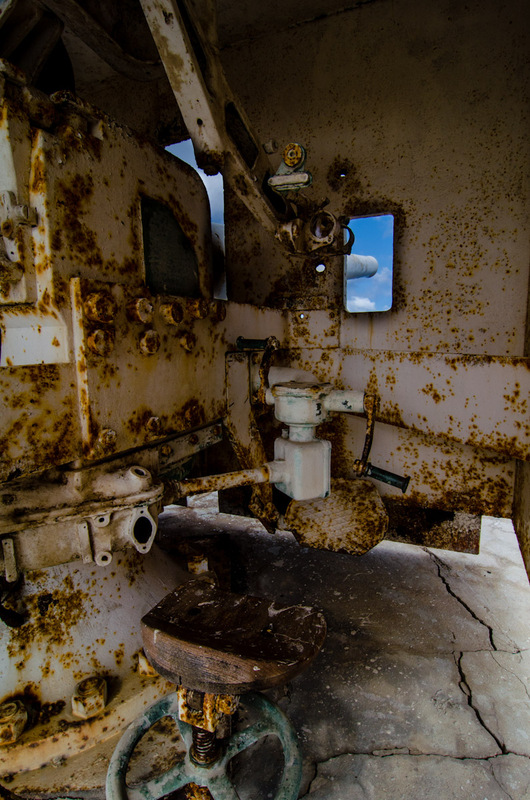 [caption id="attachment_653" align="aligncenter" width="584"] The interior of one of the guns. Both are still largely intact and a visit to see them offers great views across Georgetown and the bay. In a very intriguing twist, an examination of the U-Boat crew lists shows an engineer by the name of Rudolph Dimmlich was serving on the U124 at the time of the attack. One of our team members, Dr Wetjens Dimmlich, shares this uncommon name and it is not out of the question that the only time the guns were fired were an attempt to sink a vessel that a relative of one of our team members was serving on! [caption id="attachment_652" align="aligncenter" width="584"] Wetjens (perhaps?) making contact with a piece of family history and linking the current expedition with events that took place in Georgetown's past. 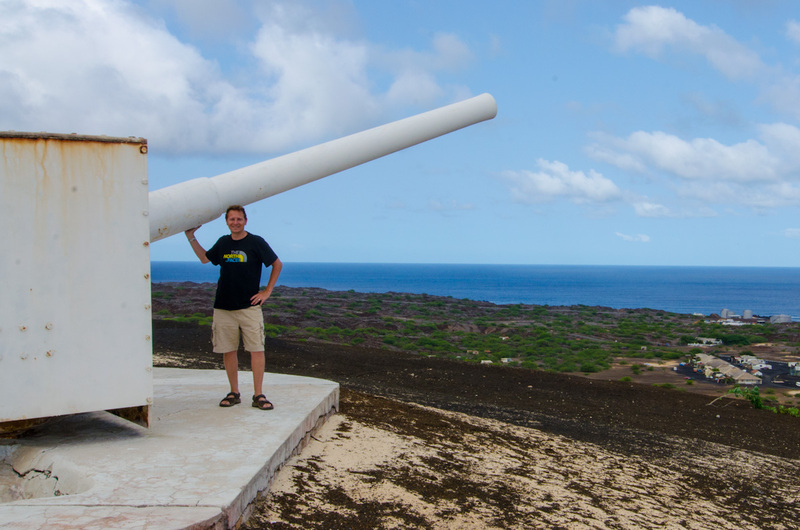 In 1877 a young astronomer, David Gill, travelled to Ascension Island in an attempt to calculate, with greater precision than ever before, the distance from the earth to the sun. He was accompanied by his wife, Isobel Gill, who in fact was instrumental to the success of his expedition by finding the ideal site from which he could make his astronomical observations. 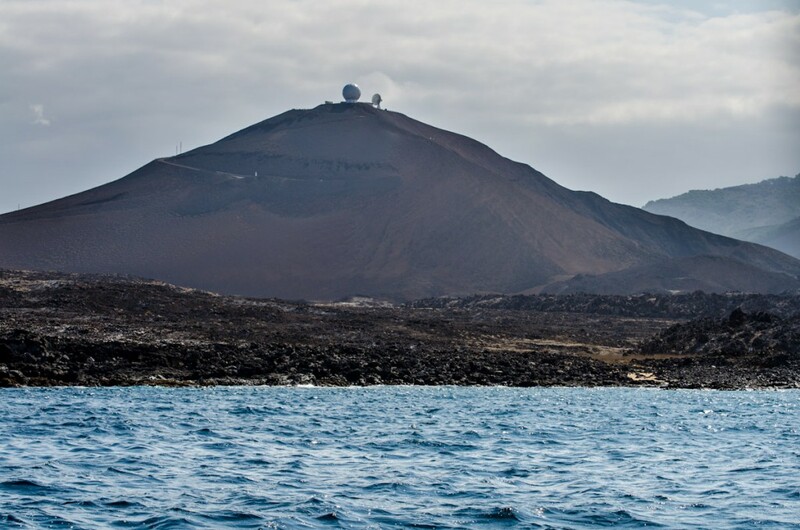 [caption id="attachment_568" align="aligncenter" width="584"] Mars Bay, Ascension Island, as seen from the sea. The Gill's camp site is just over the small rise in the foreground. This site was named Mars Bay, as it was from here Gill could make his observations of the planet Mars which he could use for his calculations. 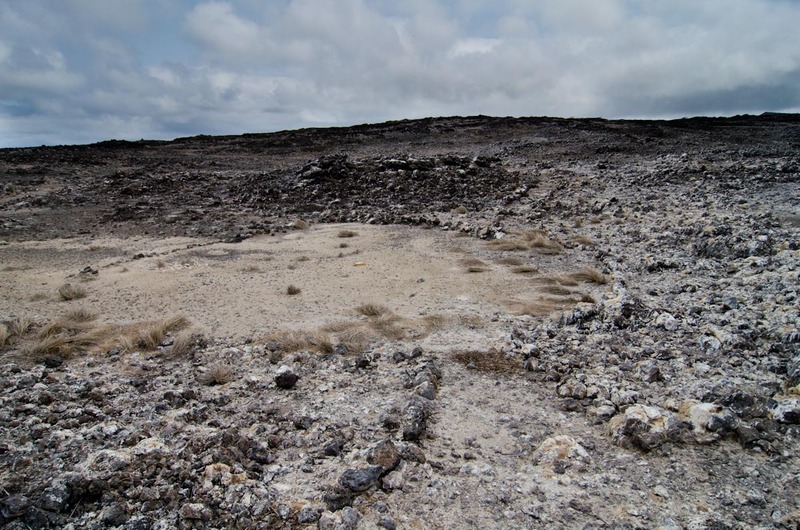 The couple spent a number of months camped at this inhospitable location and the story of their time here was recorded and published by Isobel, giving a unique account of the experience. The full text of Isobel Gill's "Six Months in Ascension. 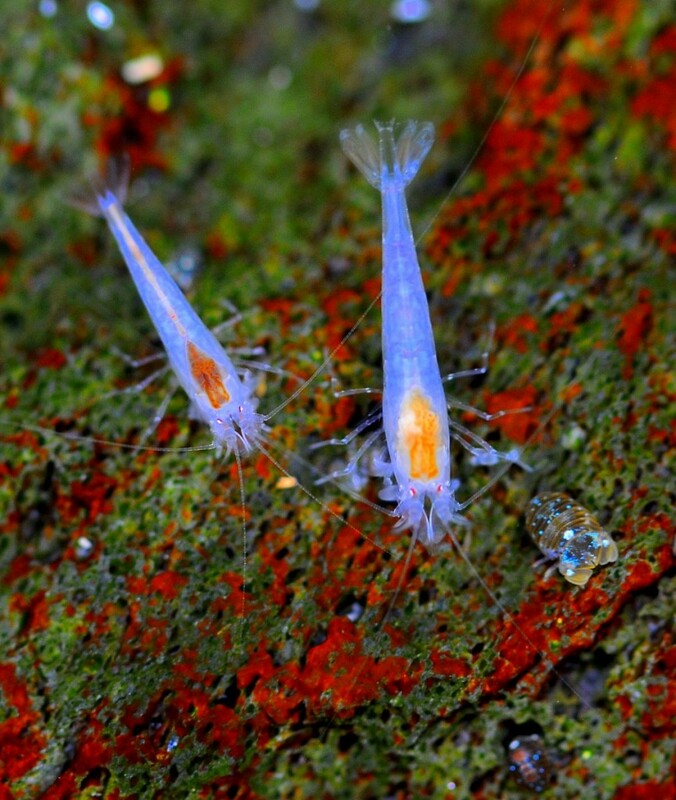 An Unscientific Account of a Scientific Expedition" can be found on-line here and a good summary can be read here. 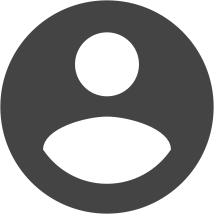 Additionally some downloadable versions are also available. 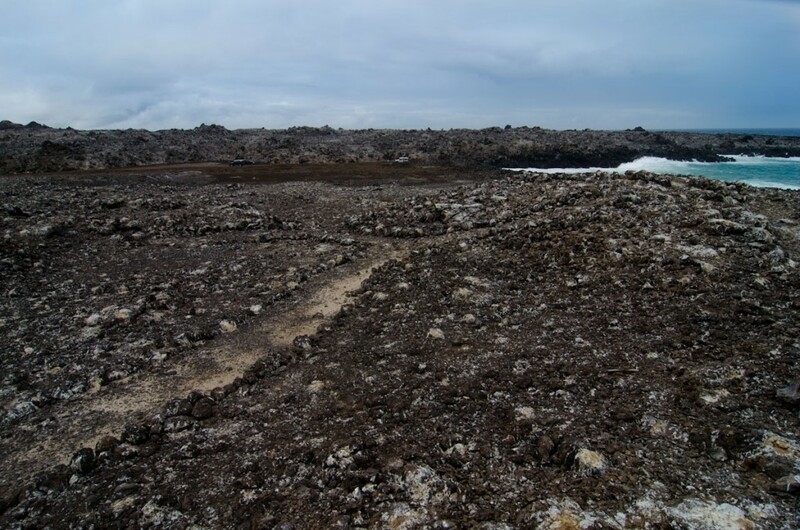 Team member Wetjens Dimmlich has been reading the book during the current expedition and enjoyed the opportunity to visit the site of the Gill camp where the pathways created and shells collected by Isobel Gill can still be found where they were left. 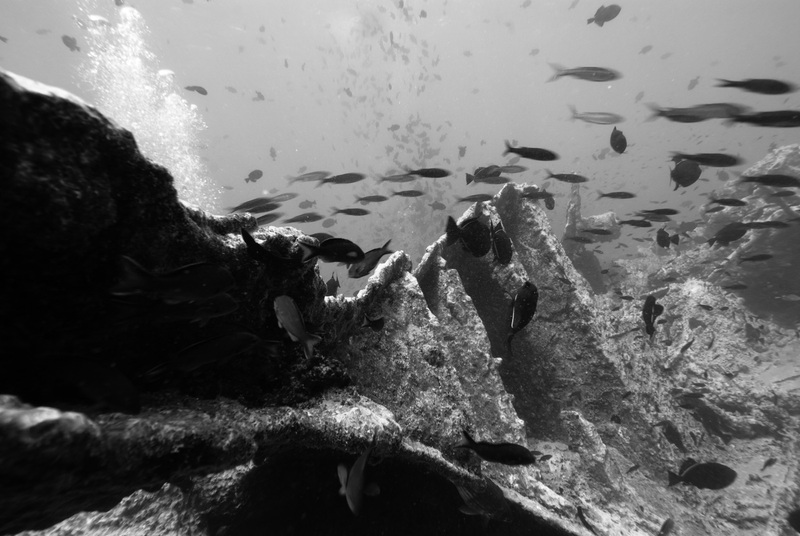 Perhaps these images will help readers imagine the conditions the Gills worked under to make their own expedition a success. [caption id="attachment_569" align="aligncenter" width="584"] Rocks line this pathway leading to the flat ground on which the Gills set their tents. [caption id="attachment_571" align="aligncenter" width="584"] The path leading up from the beach to the campsite. [caption id="attachment_570" align="aligncenter" width="584"] The path leading from the campsite down to the seashore. 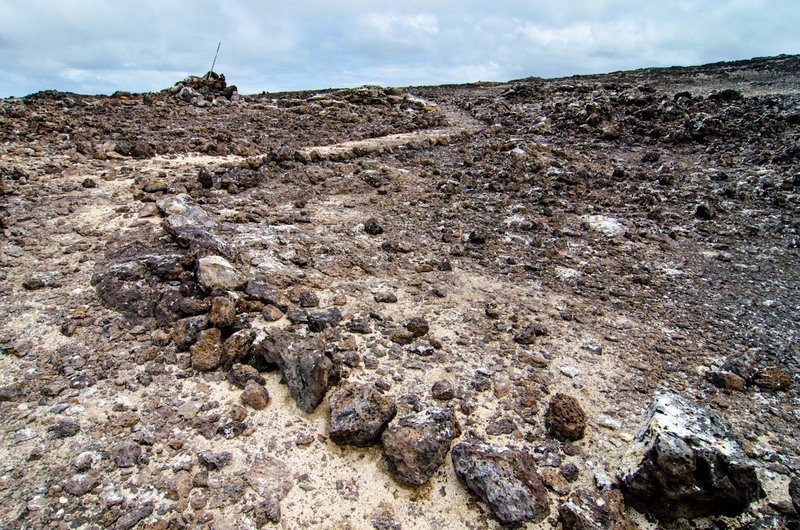 Ascension Island – a lonely piece of land in a seemingly borderless ocean turned out to be the centre of an oceanographic 'collision' which does not happen very often in featureless seas. Here, the central branch of the Southern Equatorial Current that normally goes on surface meets the Southern Equatorial Counter-Current that normally goes in subsurface layers but right here, between 7 and 8°S, it travels to the surface. Interactions of these two streams give rise to high water turbulence, numerous gyres and eddies and other kinds of water unrest. Those, combined with upwelling areas in inshore waters caused by the bottom topography, are responsible to the high productivity of the area that attracts numerous large predators close to shore that might be seen filleted on Georgetown pier almost every night. 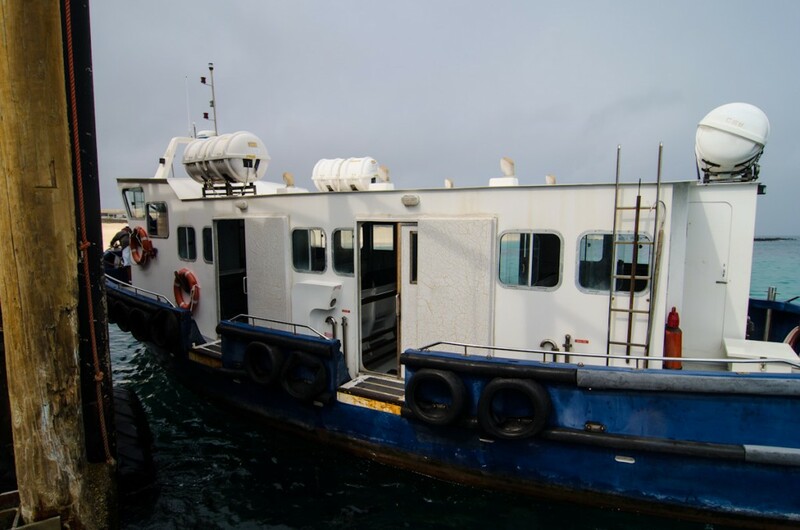 [caption id="attachment_547" align="aligncenter" width="584"] Getting picked up by our research vessel for the circumnavigation of the island, the Queen of Atlantis. 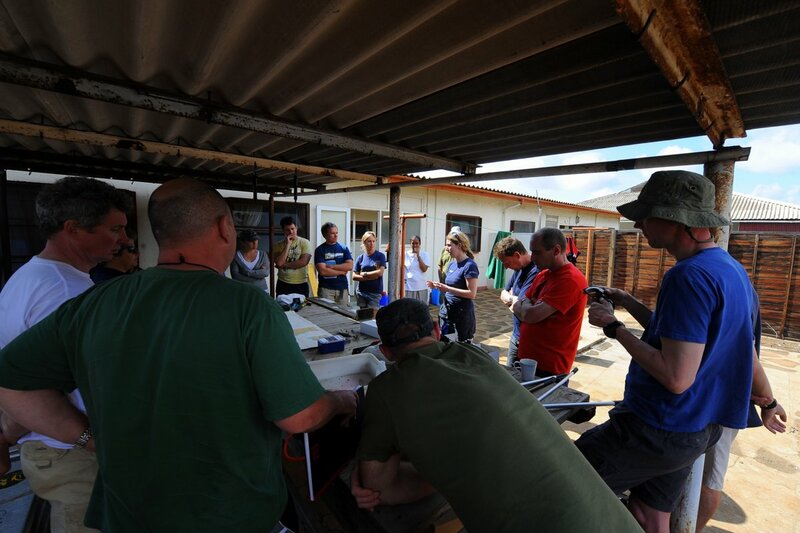 To study the local oceanographic features, a total of 16 oceanographic stations with manually deployed CTD (Conductivity – Temperature – Density) devices were carried out. To complete the picture around the island, Vlad Laptikhovsky, Steve Cartwright, Wetjens Dimmlich, Frithjof Kuepper and Kostas Konstantinos circumnavigated Ascension in the comfort of the Queen of Atlantis. Generally conditions in the voyage were good but did become quite rough along the more exposed coast near Boatswain Bird Island. The results reveal a complicated oceanographic structure even in the upper 50-m layer, where waters of both the major oceanic currents combined with a mixed layer of local origin. 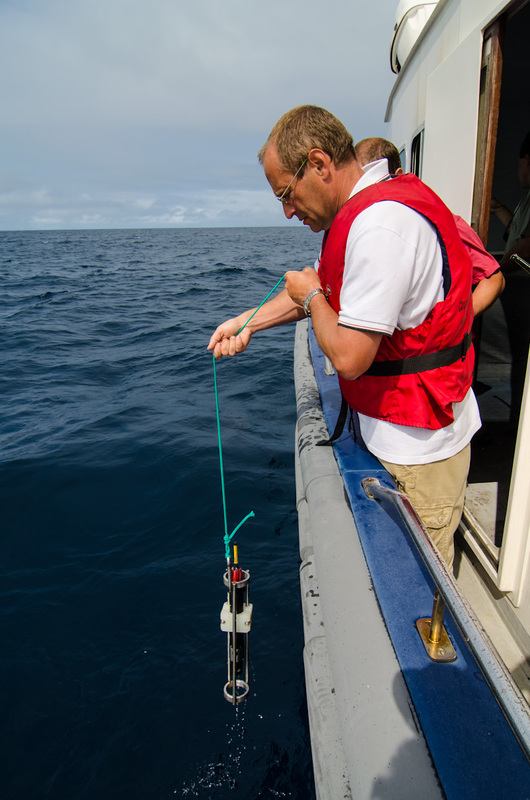 [caption id="attachment_548" align="aligncenter" width="584"] Vlad deploying the CTD during the 4-hr trip around Ascension. During the past two weeks the interaction of these currents was quite mobile. The cold productive Counter-Current eventually occupied the surface layer around most of the island, excluding the small offshore part in the north around English Bay. The more saline (because of evaporation) Equatorial Current moved its water mostly deeper than 20 m revealing expected phenomenon of temperature increase with depth, and surfaced only in the very north of the studied area. This morning Drs Judith Brown and Wetjens Dimmlich woke early to go back to school. 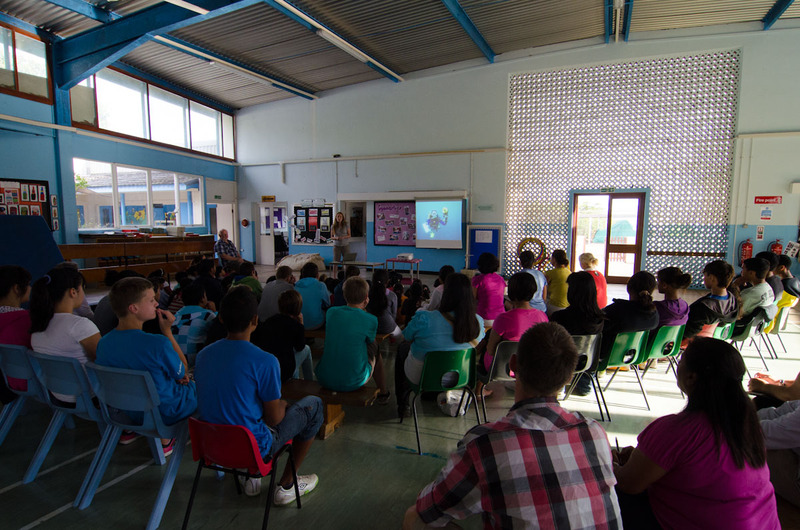 They travelled up the hill to Two Boats school to show the children there a selection of images from Shallow Marine Survey Group's work in both the Falkland Islands and the current Ascension expedition. 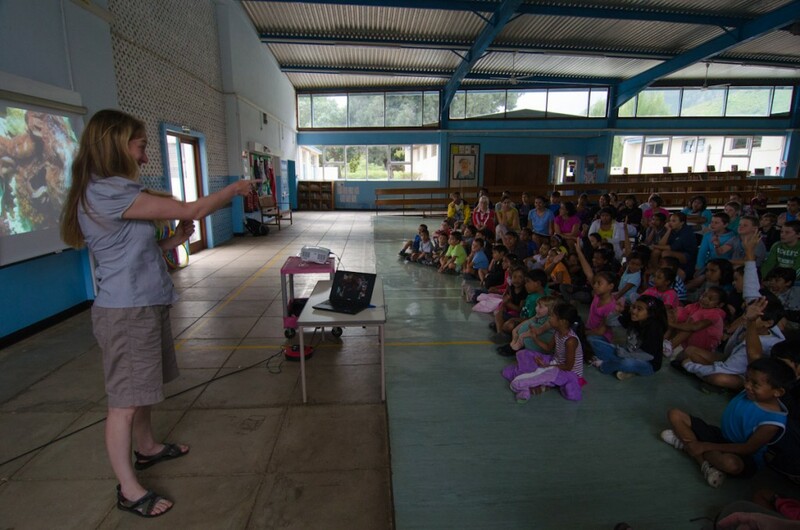 [caption id="attachment_441" align="aligncenter" width="584"] Jude speaks to a full room during morning assembly. Jude spoke to the entire school who were gathered in the gym and managed to maintain the interest of all ages during her talk. She showed images of different species of animals found in the cold Falkland waters and the tropical Ascension waters and challenged her audience to pick which came from where. She also described our unsuccessful attempts so far to entice an unidentified shrimp from his hole and received some very useful tips for the audience on how to entice the creature from its burrow. During the drive back to the Conservation offices we had some discussion about finding a source on the island for parsley! [caption id="attachment_442" align="aligncenter" width="584"] The kids enthusiastically offered suggestions on how to capture elusive sea creatures.